Samsonite Versa-Lite 360 3 Piece Nested Set, $100. Also available in red. Need some luggage for your fast-approaching summer excursions? 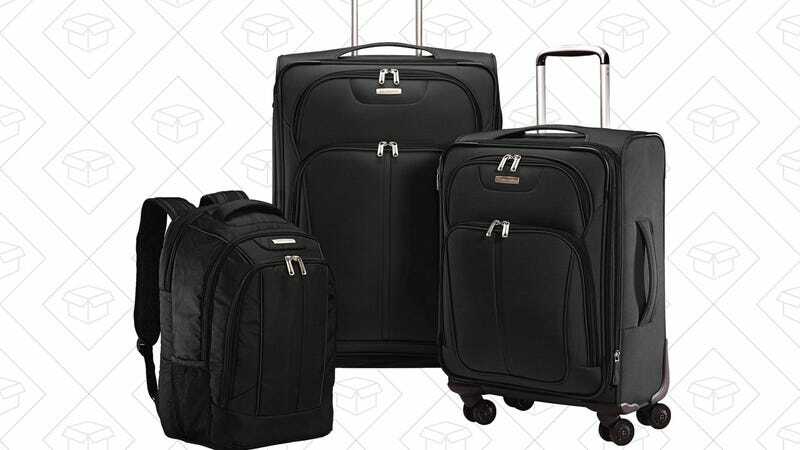 This three piece Samsonite set includes a 27" checked bag, a 21" carry-on, and a backpack all for just $100. The best part: They fit inside each other like nesting dolls, so storing them isn’t an issue.